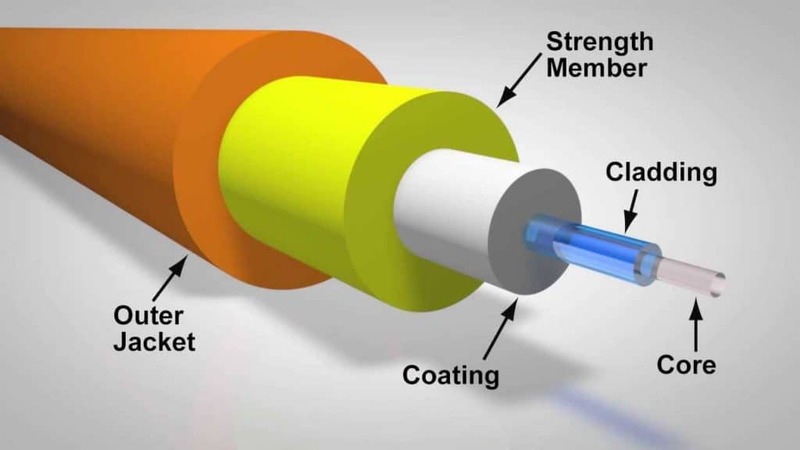 The general structure of optical fibers is the same for any cable. Let’s take a look at this general build of an optical fiber. If the words Optical fiber are a bit strange for you, just think of them as wires that can transmit light. Consequently, these wires are thin and flexible. They are not made of metal, like the regular wires you see running around your house. 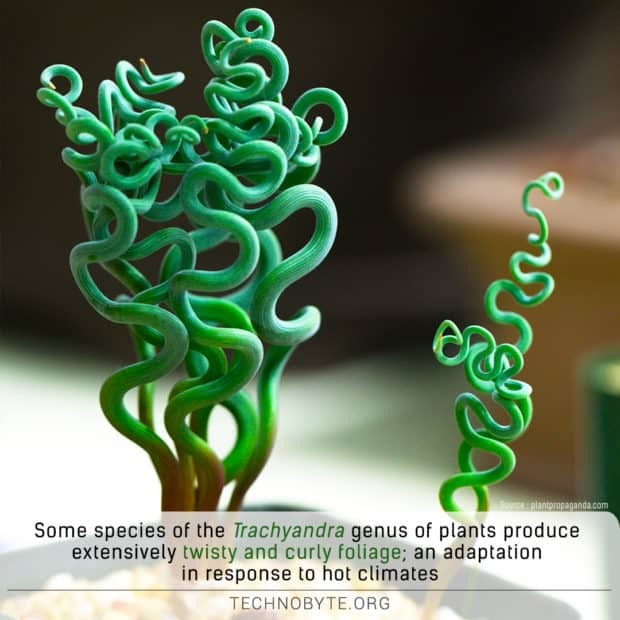 Instead, they are made up of special types of glass or transparent plastic. 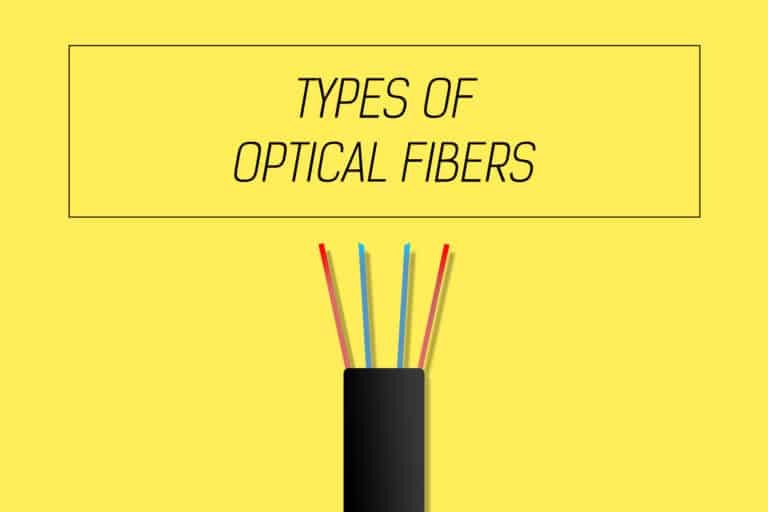 There are a few different types of optical fibers available in the market. The general structure of optical fibers include the following three parts. The Core – Yep, it is exactly what you think it is. Jacket – Did you get this one? The core is the innermost part that is made out of glass or transparent plastic. It is extremely thin, flexible and has a cylindrical shape. Its sole purpose is to keep all the light within itself and guide the light in a direction parallel to its axis. Since it is the main carrier and guide of the light waves, it can be called an optical waveguide. By the same token, its structure has an effect on the transmission of the light. Hence, all the data that is being transferred will have its transmission parameters or properties based on the structure of this segment of the fiber optic. Makes sense. The cladding is the second layer on top of the core. It is also made of glass or transparent plastic. But with a different material, so the refractive index of the cladding is lower than that of the core. To understand the need for a secondary layer made out of a different material, we will revisit a basic concept of light propagation; refraction. When light from a medium with high refractive index goes to a medium with a low refractive index, it moves away from the normal at the point of crossover. Take a look at the image below. 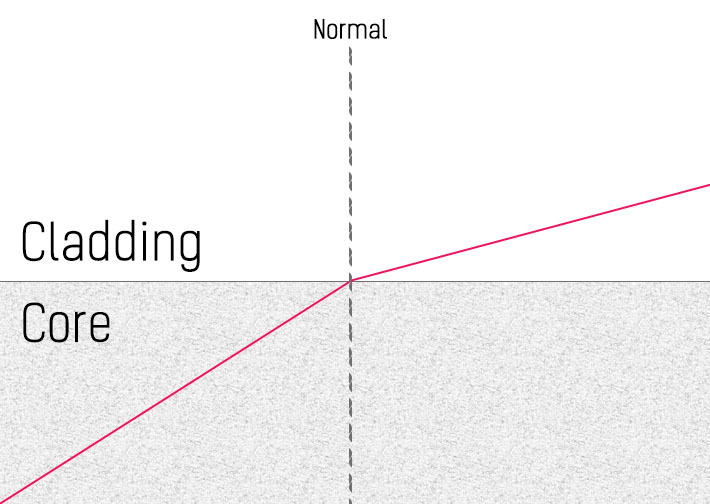 The red line runs away from the normal as it enters the cladding, which has a lower refractive index. Can you now think of a reason as to why this would be necessary? We will get to that in a subsequent article. Hint: It has got something to do with efficiency. As a matter of fact, the cladding is not really essential for light propagation. But it increases efficiency and reduces scattering losses in addition to providing mechanical strength. So we might as well as use it! The jacket exists purely for protecting the core and the cladding. It is made up of flexible and abrasion resistant varieties of plastic. Usually, the jacket has another layer beneath it called buffer. The buffer and the jacket together protect the optical fiber from environmental and physical damage. These three parts are common to all types of cables and make up the general structure of optical fibers. Please note that there are many applications of optical fibers like a fiberscope, which allows you to see difficult to reach places, fiber optic sensors, which enable you to measure some physical quantity, and so on. Henceforth and throughout this course, we will be discussing optical fibers that are used for communication purposes.